I don’t think any of us expected the deeply moving and transformative powers that awaited us on our weekend of the Little Pagan Monastery Retreat. Held over the weekend of 11 – 13 April 2014, we stayed for two nights at Little St Michael’s, the Companions’ Retreat House for Chalice Well and Gardens. I knew that staying and sleeping in such a sacred spot would be the basis for challenging soul work. We had 24 hour access to the gardens, which was a special blessing after hours, when we had it all to ourselves. The chance to meditate, pray and create ritual at the Red Spring was truly unique. It opened our souls to the very special power of the Vale of Avalon, wherein the Goddess was present in everything. We walked the spiral path up the Tor, feeling the strong energies push and pull us in every direction as the wind whipped around us. 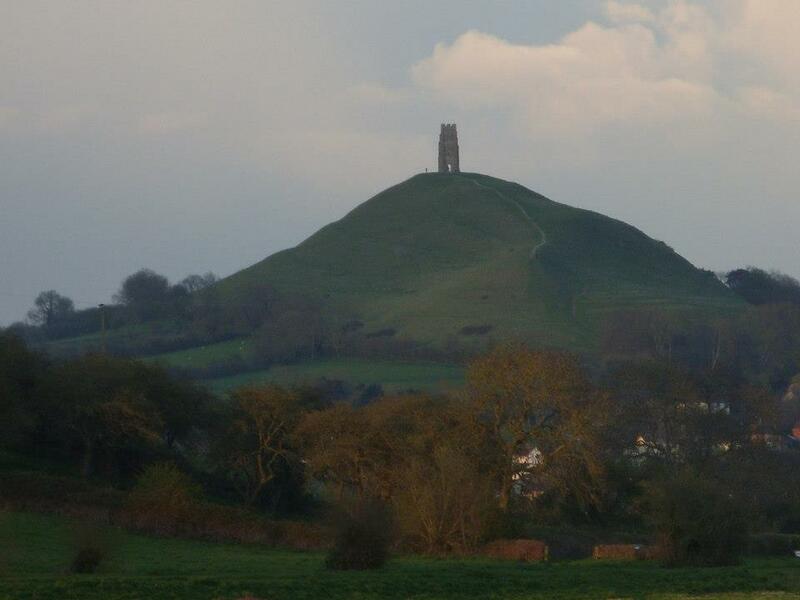 We climbed the Tor twice that weekend, the second time to watch the sunrise. The mists of Avalon swirled around us as we may our ascent in the hour before sunrise, and settled over the Somerset levels in thick, low banks of cloud that seemed to shine with their own inner light. The sun rose from behind the far hills, a red-orange disc of flame that filled the soul with such joy it felt like we would burst with it. A private visit to the White Spring later that day resulted in a very moving ritual, wherein participants immersed themselves in the sacred waters of the large, dark mirror pool. Souls were awakened, energy bursting forth from the dark womb of the waters and new journeys began for everyone. The days followed a routine of morning, noon and evening prayers and meditation. Together we created a group prayer to be recited at these times. Some participants had powerful dreams, which was likely to happen in such a sacred power spot. The lodging itself was incredible – a 400 year old building filled with such peaceful energy. We had the meeting room as well, a beautiful open space filled with light where we gathered for discussions and group work. The kitchen and dining room were huge – how many kitchens have a vesica pisces symbol in the floor? All in all, this weekend was one that I shall remember for the rest of my life. What we learned from this weekend we will take into our lives wherever we may be, and use the wisdom of Avalon to nourish, strengthen and sustain us in all that we do. We prayed that Avalon itself was blessed in return by our love and devotion to the sacred spirits, and we look forward to returning as soon as we can. This entry was posted in Druidry, Learning Druidry, Little Pagan Monastery and tagged avalon, Chalice Well, druid, Druidry, Glastonbory, goddess, joanna van der Hoeven, life, meditation, monastery, pagan, red spring, religion, tor, white spring. Bookmark the permalink. How much did it cost to stay at the house? Sounds like a wonderful time, I’m hopefully taking a trip there soon! Blessings!